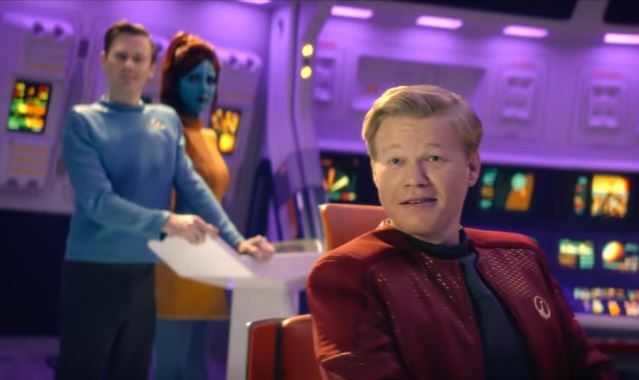 The first, and of course disturbing, trailer for the fourth series of Charlie Brooker’s Black Mirror has just dropped online. It reveals the titles for all six episodes that will be coming soon to Netflix. And best of all we get to glimpse at a few scenes from each of them. 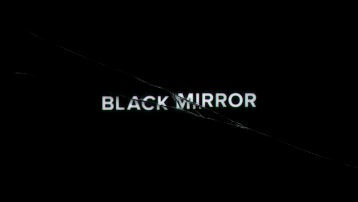 For those who don’t know, Black Mirror is an anthology series which each episode being a standalone story. Created by Charlie Brooker, who writes each episode, the series explores the theme of ‘collective unease with the modern world’. With a much bigger budget, thanks to Netflix, Brooker has been able to land some massive talent for the latest series including Jodie Foster, who is directing, and actress Andrea Riseborough. Although we do not know much about the upcoming series we do know that the titles of the episodes are ‘Crocodile’, ‘Arkangel’, ‘Hang the DJ’, ‘USS Callister’, ‘Metalhead’ and ‘Black Museum’. Also, from glimpses of scenes that we see in the trailer, we do know that ‘USS Callister’ is a campy parody of Star Trek, ‘Metalhead’ appears to involve robots and ‘Black Museum’ will be an instalment about race. We can’t wait to see what the series brings. It is due to premiere on the streaming service later this year.